We're very excited about our jerseys. They are a great way to spread the word about what God is doing here at CEM and how others can participate in it through the Agony Ride. If you're looking for a conversation starter, this is a good one! Cost for the jerseys is $72 by cash or check, $74 by credit card. We have a limited number of jerseys in stock. We will contact you to tell you the availability of the jersey you have chosen. If we don't have your size, we will be placing another order to arrive before next year's Agony. To make your payment by credit card, go to our Donate page. In the "Message of Support" field, please type "Agony Jersey." To pay by check, mail your check, indicating it is for a jersey, to CEM, PO Box 1022, Grass Valley, CA 95945. 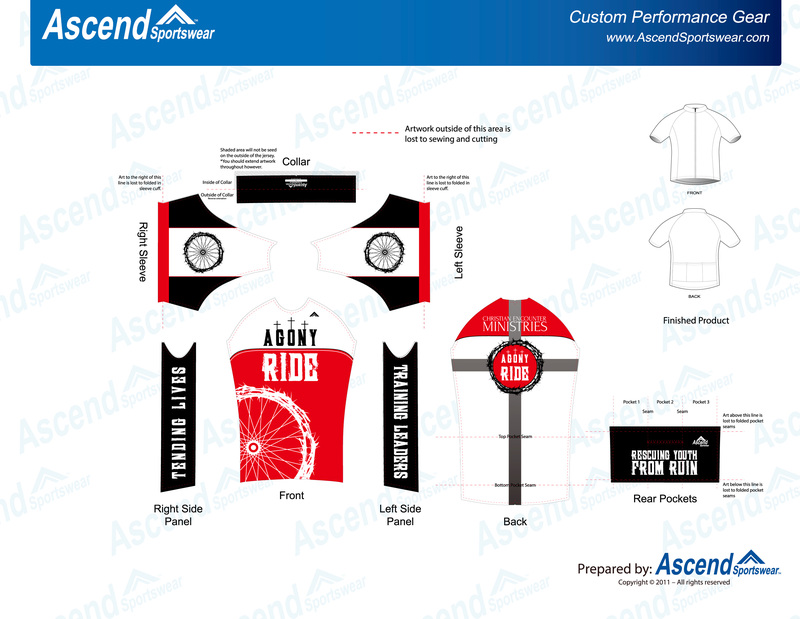 We would love to see every Agony Rider in an Agony jersey!